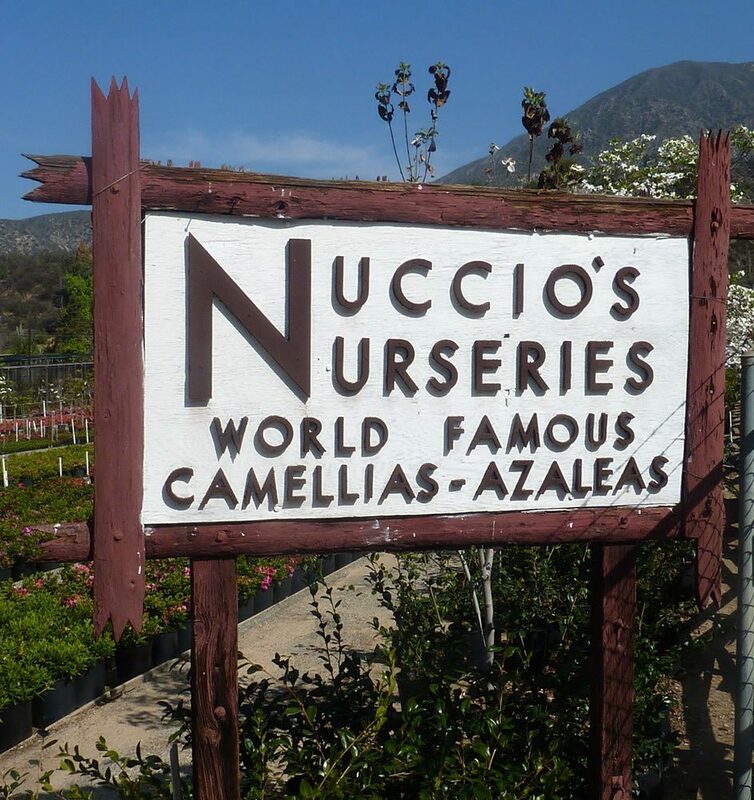 Nuccio’s Nurseries roots are firmly established in their Italian American family. 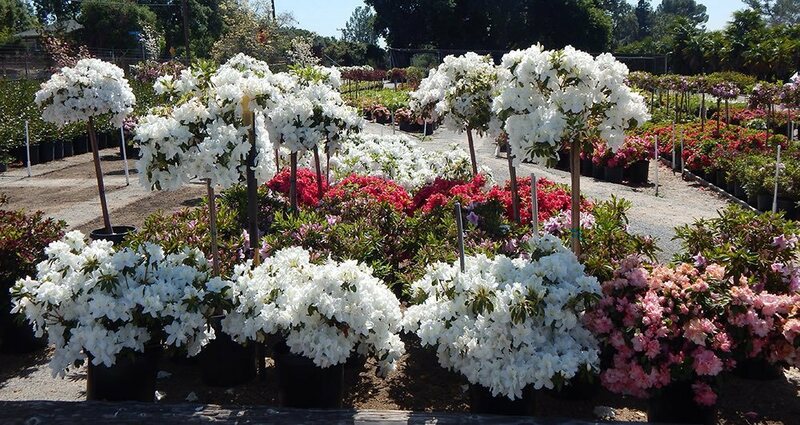 The nursery began when Joe and Julius Nuccio began to grow camellias and azaleas in their parent’s backyard in Alhambra, California in the 1930s. The two brothers began to propagate camellias and azaleas which led them to grow seedlings, hoping to produce new cultivars. When Julius went in the Army at the beginning of World War II, Joe built a lath house in his home in Santa Monica to accommodate their stock plants. Joe worked during the war as a shipwright. After the war they purchased forty acres for $12,500 and moved the nursery to Altadena, California, which is the present location. Today the Nursery is run by Joe’s son Jude and Julius’s two sons Tom and Jim. 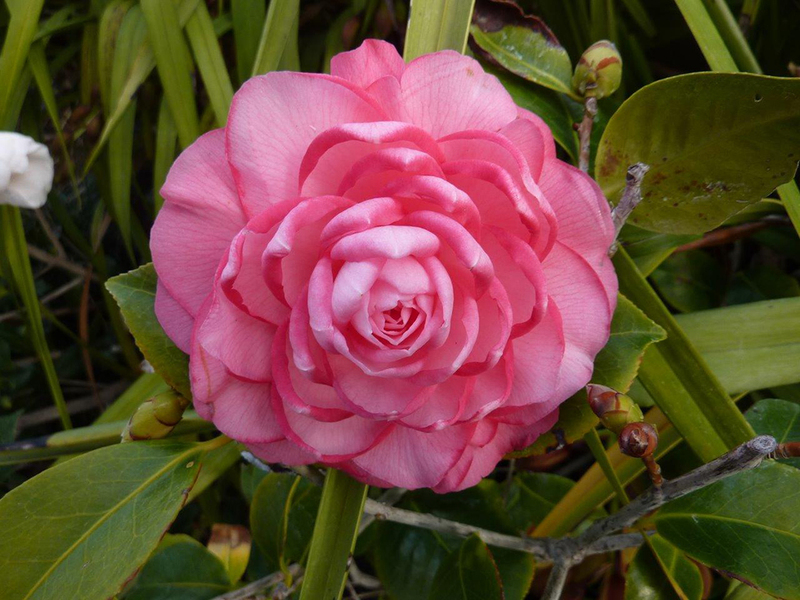 New camellia cultivars have been introduced since 1950, when the founding fathers introduced a rose pink medium rose form double for their mother, Katherine Nuccio. 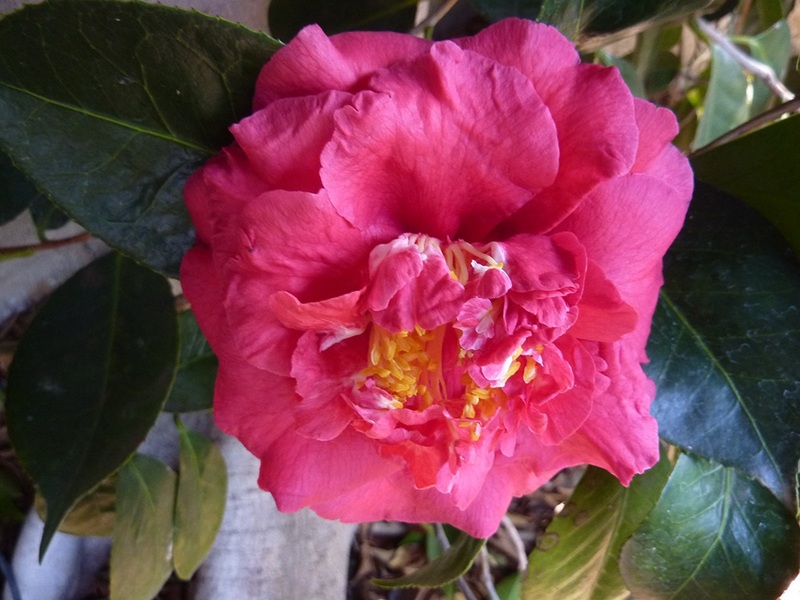 Katherine’s favorite camellia was ‘Drama Girl’. When seeds from ‘Drama Girl’ were propagated by the Nuccios, one developed a very large semi-double salmon rose pink that bloomed early to midseason on a vigorous, compact upright plant. Since Katherine was a plus-sized women known as Katie, the family decided that this very large coral pink flower was fitting to be named in her honor. 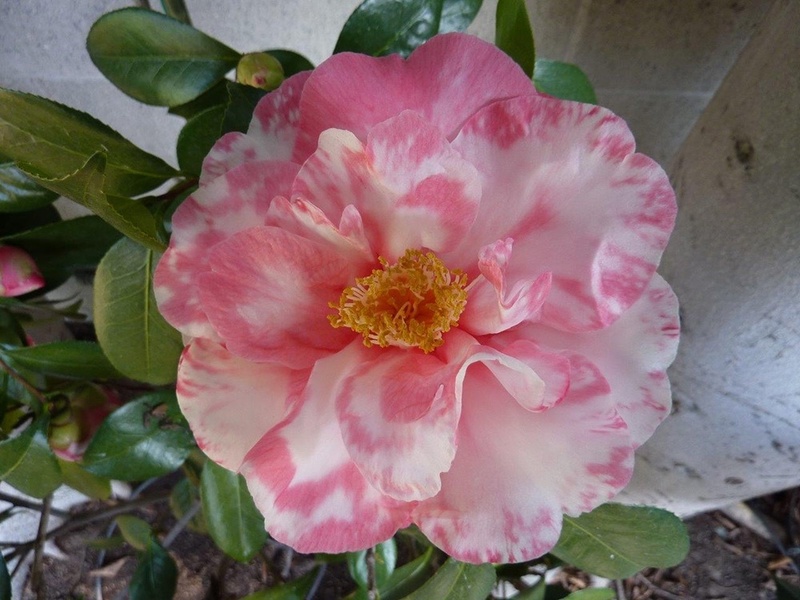 The variegated form is also very lovely with the pink flower marked with white blotches. Joe and Julius honored their father by naming a large-to-very-large coral rose red semi-double flower with irregular petals that stand up like rabbit ears ‘Guilio Nuccio’. When I asked Tom and Jude how they named the two- toned pink formal double flower with incurved petals ‘Joe Nuccio’, Tom said his father, Julius, persuaded them. Jude recalled that his father really liked the flower. 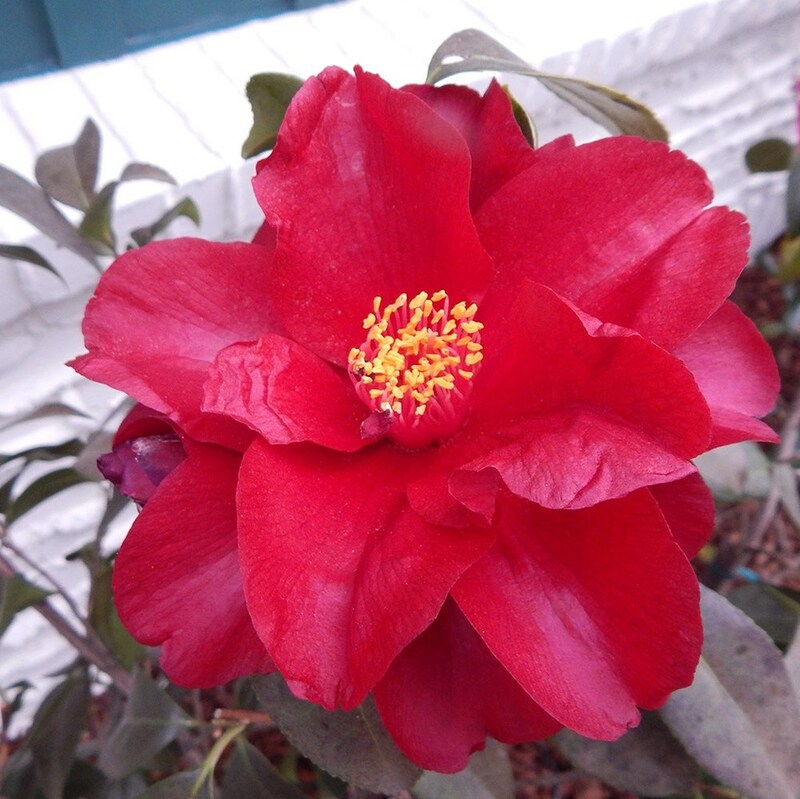 ‘Joe Nuccio’ is a great camellia that commemorates one of the founding fathers of Nuccio’s Nurseries. ‘Julius Nuccio’ is a large-to-very-large beautiful, brilliant dark red semi-double with large shiny petals and golden stamens. It was introduced in 2014 to commemorate the 97-year-old surviving founder of the nursery, who passed away in January 2016. Julius really didn’t want any camellia named for himself but the “boys” (Jude age 78, Tom 67, and Jim 65) overruled him. 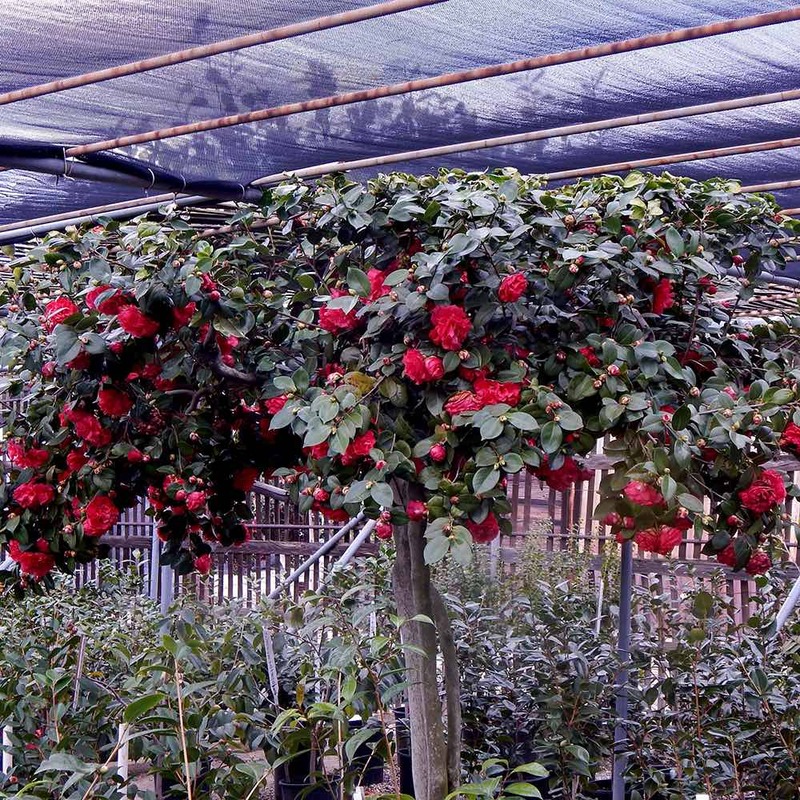 Nuccio’s Nurseries introduced 210 camellias between 1950 to 2018. 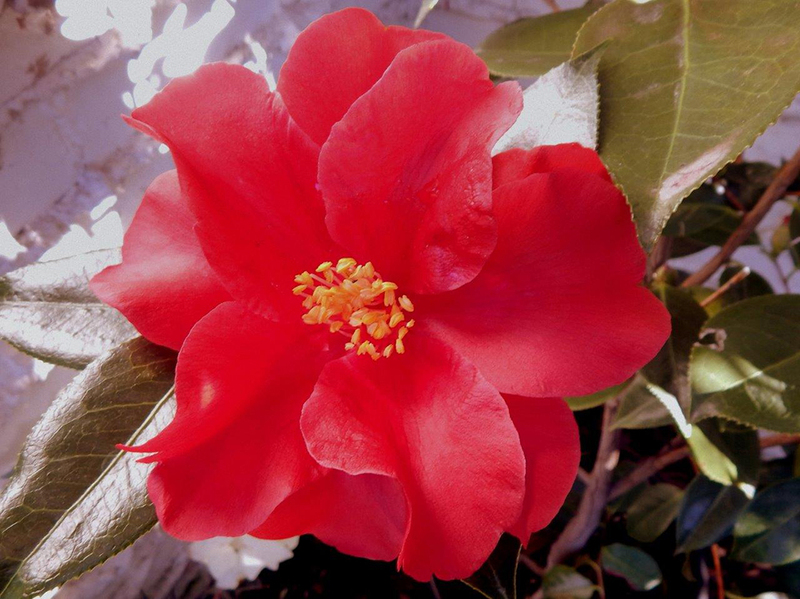 The American Camellia Society (ACS) provides awards to outstanding camellias each year. The Illges Seedling Japonica Award is given to the originator of a seedling, not a sport or mutation, each year since 1945. Nuccio’s Nurseries has won this prestigious award thirteen times. 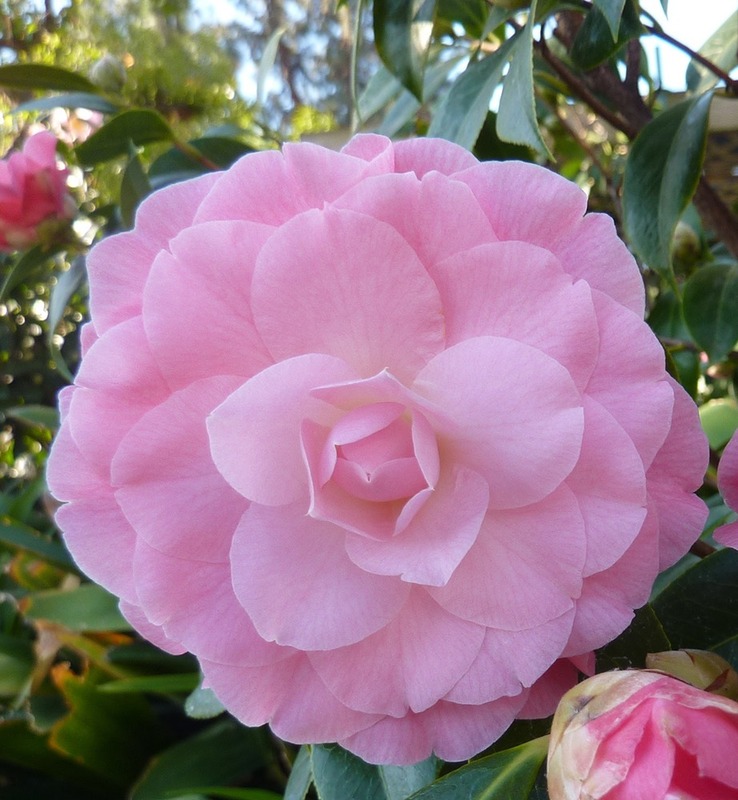 These award-winning cultivars are still popular and widely distributed as they are some of the best camellias available today. This is illustrated by ‘Royal Velvet’. How it received its name is an interesting story. It was named by Jim Nuccio. He was sitting on the throne and noticed a dark red velvet bathroom mat under his feet. 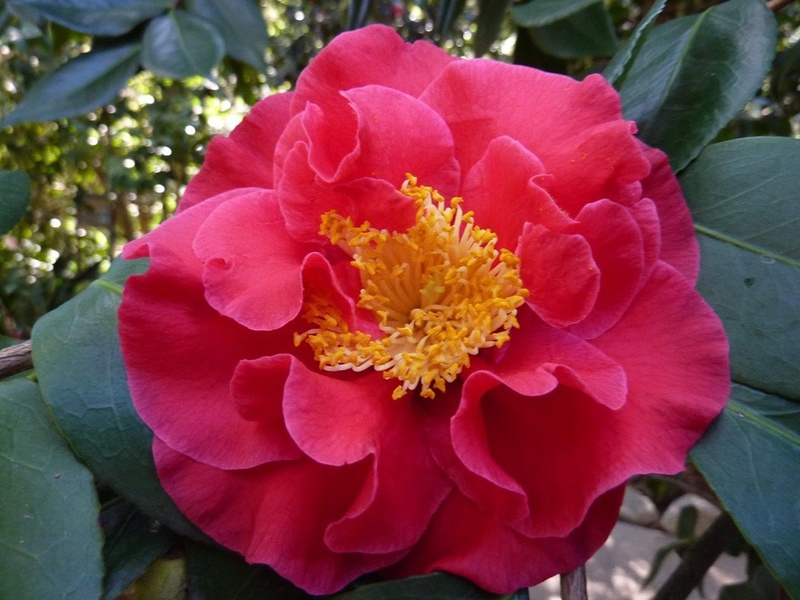 When he turned over the mat the label read “Royal Velvet.” This camellia has an impressive large and velvety dark red semi-double flower that regularly wins points in camellia shows and is a wonderful addition in the landscape. 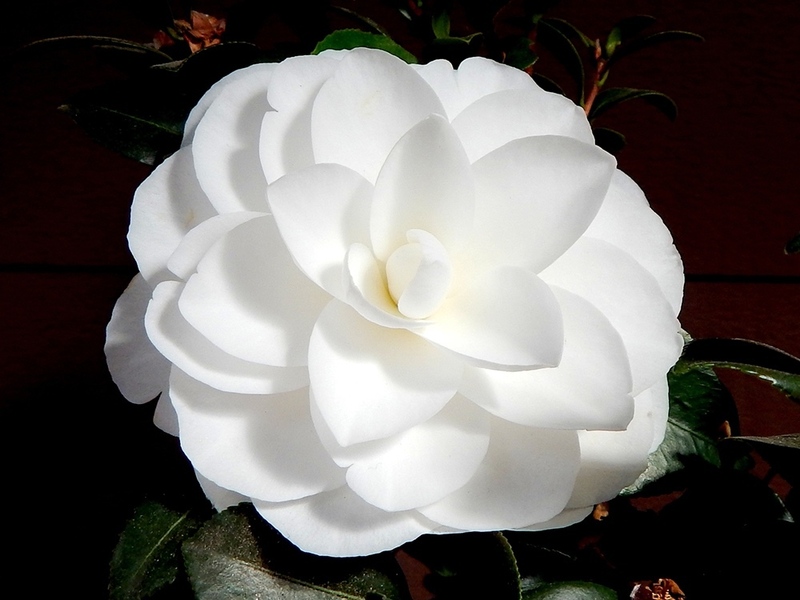 Nuccio’s has named eight outstanding camellia cultivars with their name. This is illustrated by the medium-to-large white formal double ‘Nuccio’s Gem’. Nuccio’s was awarded the Harris Hybrid award in 2012 for the beautiful small pink formal double called ‘Button’s N Bows’. 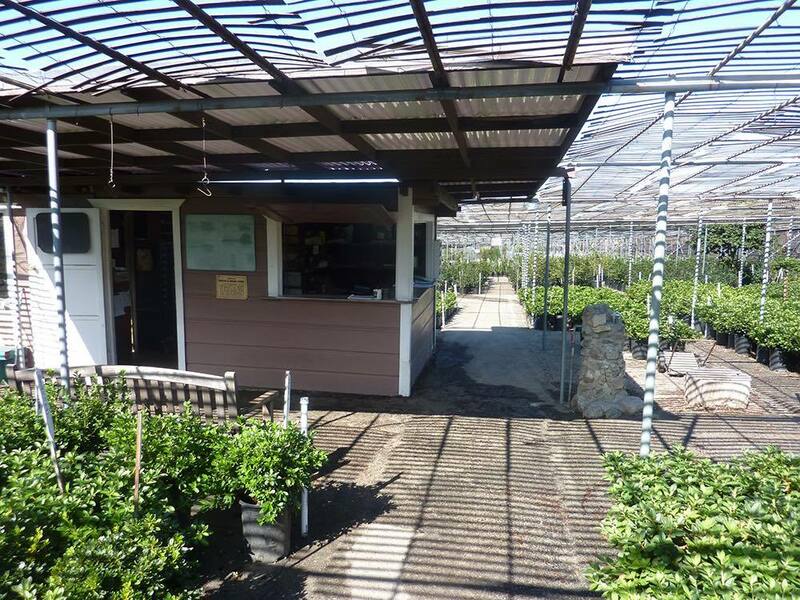 In conclusion, Nuccio’s Nurseries is a story of how a family-run business began in the 1930s. 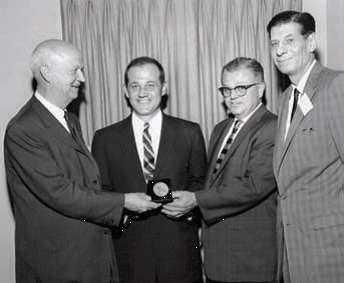 Many family businesses have been lost or bought by large companies but some like Nuccio’s continue to thrive when a second generation takes over. They remain true to their roots and are truly “old school.” They don’t use computers; the owners wait on customers and are knowledgeable and personable, taking time whether the customer wants one plant or several dozen. On one occasion I accompanied friends to buy camellias. They selected ten well-grown five-gallon plants with help from Tom Nuccio and myself. When it was time to pay my friend took out his credit card to pay. They don’t take credit cards, just checks or cash. My friend asked his wife if she had cash or a check with her . . . NO! Tom said, “Not a problem, take them home and mail us a check.” This is what it used to be like in the “good old days” when local family businesses served their communities. ‘Julius Nuccio’ was introduced in 2014.